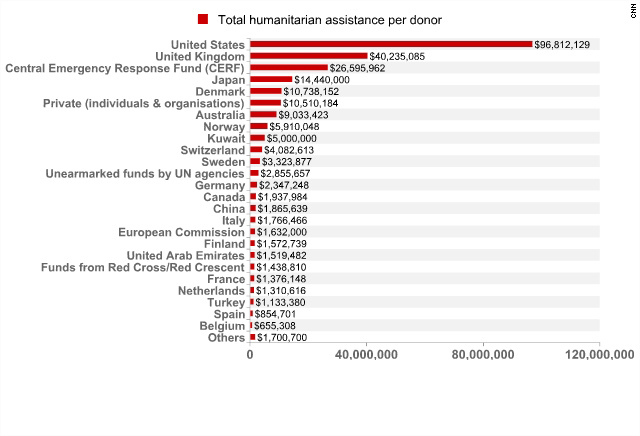 Islamabad, Pakistan (CNN) -- Pakistan is reeling from a natural disaster affecting 20 million people but relief groups say donors have been painfully slow in helping. When a magnitude 7.0 earthquake hit Haiti in January, donors responded with $13 billion in aid. Within 24 hours Hollywood mega-stars like George Clooney, Madonna, Tom Cruise and Beyonce had signed up for a telethon to raise money for Haiti's quake victims. By contrast nearly three weeks after flood waters inundated one-fifth of Pakistan, the United Nations has collected roughly half of the $460 million it has called for to meet the immediate needs of 20 million flood victims. This week Oscar winner and U.N. goodwill ambassador Angelina Jolie made a high-profile plea to ask the international community to give more aid to Pakistan. "Hopefully there are a lot of people ready to give money," Jolie told British television network ITN. Aid workers and analysts say there are several possibilities why governments, individual donors and celebrities are not giving to Pakistan the way they've done with other disasters. None, they add, is a good excuse. 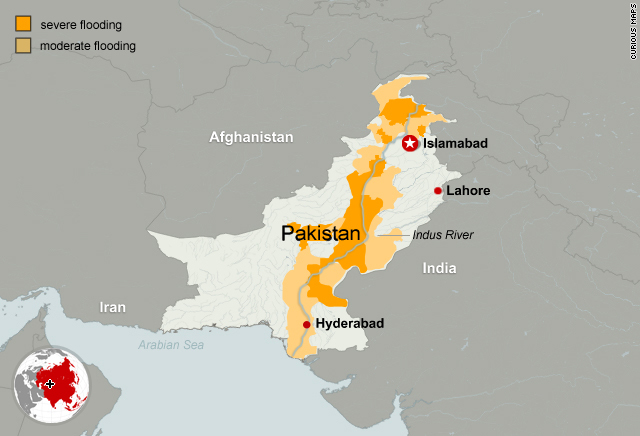 The relatively low death toll -- roughly 1,500 killed -- may have created the impression that Pakistan's floods are not as severe as the Haiti quake and the Indian Ocean Tsunami where tens of thousands were instantly killed. U.N. officials say the death toll in Pakistan's floods belies the desperate and often life-threatening conditions of the 20 million victims. Many of them have lost their homes, their belongings and their sources of income. Analysts say governments may also be suffering from "donor fatigue" with Pakistan. 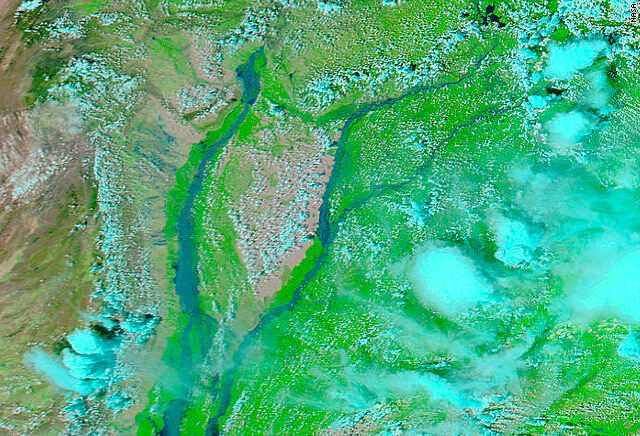 For years now Pakistan has been on a seemingly constant round of donor needs -- money to revive its feeble economy, fight the Taliban, recover from the 2005 Kashmir earthquake, the 2009 refugee crisis and now these floods. "A donor never gets fatigued," Islamabad-based political analyst Mosharraf Zaidi told CNN. "A donor, just as an idea, is not about 'I'm fresh so I'll give.' You don't give because you're fresh. You give because of humanity." There's also the perception that Pakistan is run by corrupt politicians and the aid won't get to those who need it. This week Pakistani Prime Minister Yousuf Raza Gilani insisted all aid would be transparent. Aid professionals say if you don't trust the Pakistani government, then give to an international aid group you do trust. "There are so many ways people can give that doesn't have to be rooted in the government if that was a concern," said OXFAM's country director in Pakistan, Neva Khan. Aid groups and analysts say the worst excuse not to give is the perception among many in the west that Pakistan is just not a good place, a country full of militants. It's an image reinforced by the media's obsession with extremism in Pakistan, says Mosharraf Zaidi. "I think that coverage is fundamentally one of great reasons why it's been hard for people to reach into their wallet." The cooling global economy may also have governments and individuals reluctant to give but analysts say the consequences of not giving to Pakistan could be costly. In the short run people will go hungry, suffer from disease, and lose their fight to survive. In the long run a nation that's critical in the fight against extremism may face a political crisis that could further destabilize the region.